It’s been a power packed week of activity in the Kindergarten. So it’s pretty clear we’re having a great time finding new ideas for our alphabet crafts. 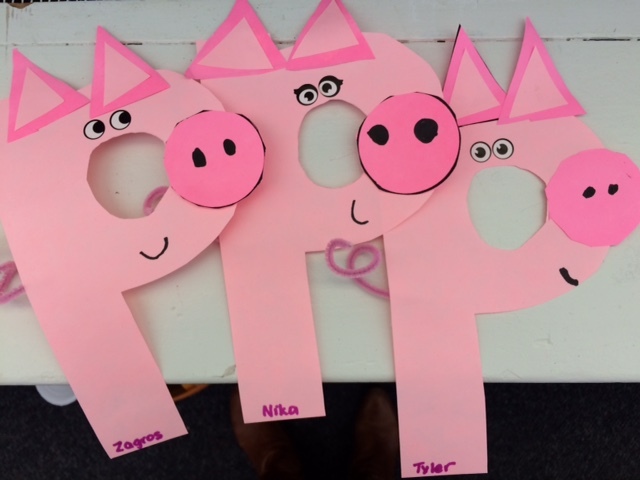 The children were so happy with their “o is an octopus” last week and were tickled pink with their “p is a pig” this week. As we head into the latter half of the Alphabet, the children are using familiar strokes to print the letters so we’ve noticed a nice uptick in the consistency of correct formation of lowercase letters. We’re continuing to focus on size and spacing of letters, and an uppercase letter followed by lowercase letters for names. Monday was a joyous celebration for the Year of the Rooster. 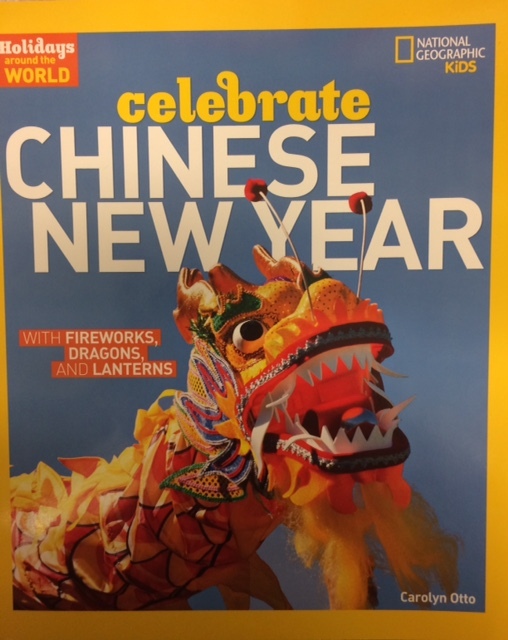 The children came dressed in red (for good luck) with several students wearing traditional Chinese clothing. We started our day by welcoming each child with “Gung Hay Fat Choy” (I grew up with Cantonese speaking parents but I regret my own Chinese is very, very limited) during the daily attendance and were delighted at how every child tried to repeat the greeting back to the teachers, and so warmed our hearts. 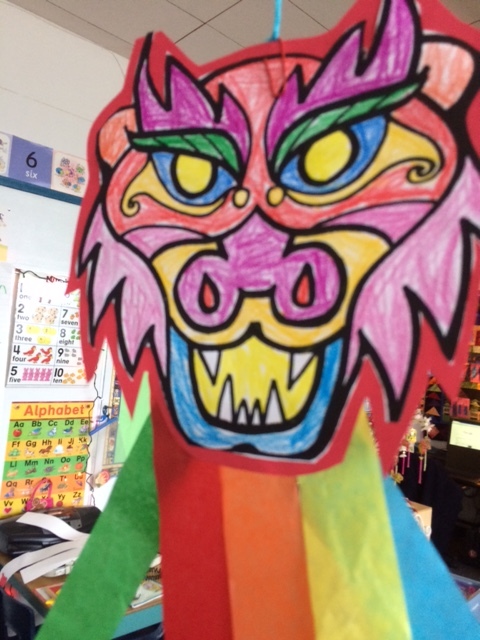 Over the years we’ve amassed some very fun crafts and Centres for our children, including banners with beautiful Chinese symbols, tangram puzzles, a colourful dragon and lucky money envelopes. We read a traditional favourite of ours, Ed Yeung’s Lon Po Po, a Chinese version of “Little Red Riding Hood” which fascinated the children with its twists and turns. The children gloried in representing the story in pastels with a watercolour wash. We’ve cut the watercolour paintings into panels, a Chinese art form. We’re beginning to use pastels more often as we recently learned at a webinar by Patty Palmer of Deep Space Sparkle, that pastels and crayons are actually better colouring tools than felt pens for young hands as they give the range of depth of colour and texture the children are trying to achieve. Finally, we ate a delicious Chinese “banquet” provided by our classroom parents. 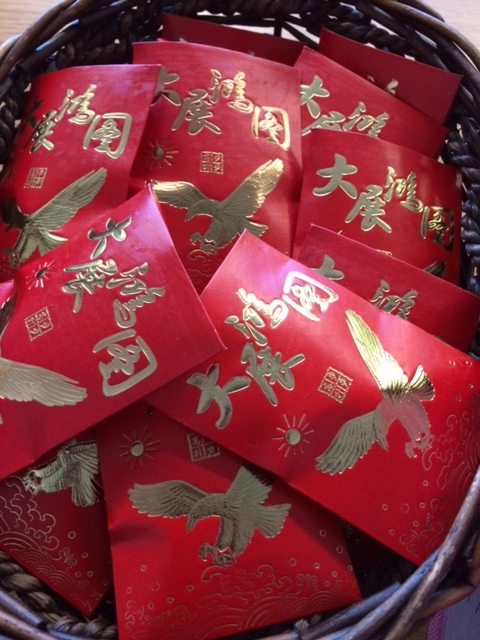 The children enjoyed the Chinese noodles (they emptied a huge pan) and fried rice; many tried the dumplings, eggrolls and meatballs and everyone ate the oranges and fortune cookies. Juice and fresh fruit rounded out our meal. 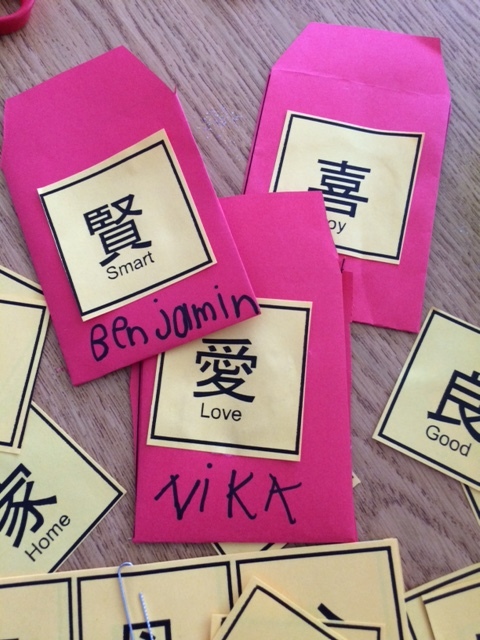 All the children took home a “lucky money” red envelope filled with candy. We wish everyone a happy, healthy and prosperous new year! As many of you know, we had our lockdown drill this week. This is an important procedure for the school, particularly the Kindergarten if it’s the first time they’ve been through a lockdown. We’re practising for what we would do if there was an intruder in our building. Our classroom doors are locked from the hallway side and the lights are turned off. The children sit against a designated wall and are asked to stay quiet until we are released when the West Vancouver Police Officers open our classroom door to find us. We are proud to say the Kindergarten was very self-regulated and extremely calm during the entire lockdown. We explained to the children what to expect (listen carefully to the teacher; stay quiet in your spot and breathe deeply to keep your body relaxed; there will be a loud knock at the door and the police will come in; the teacher is here to look after you and will let you know when you can talk). And they followed our instructions perfectly. The police officers were so pleased with how quiet we were and said so several times. This reminds us again the importance of pre-loading our children with the information or knowledge they need to know before they try something new. When we are clear and make explicit our expectations our children are able to respond appropriately. As if all this wasn’t enough, we still had Library, Music, PE and met with our Buddies to continue researching for our digital literacy projects. Your Kindergarten child has been been playing and learning very hard this week so time to rest this weekend is very much in order. Save the Date: We’re going to have a small Valentine’s Day Party in class. The children will make Valentine cardholders with their Buddies next Wednesday. They can bring their Valentine cards for their classmates on Thursday, Friday and the following Tuesday. We will help them put the cards in the cardholders, which the children will bring home and open with you afterschool. So there are no hurt feelings, when you are printing the cards with your child please remember to give Valentine’s to all the boys or all the girls or everyone. We will send home a class list of first names next week. Children will need their running shoes for PE and Library Book Exchange is Tuesday. Please help your child by reminding them to bring the Library Books into the classroom; do not leave them in their backpacks. We have a book bin in the classroom to collect the books. It’s Reading Break on Friday, February 10 and school is not in session. School is also closed on Monday, February 13 as it’s BC’s Family Day. Enjoy your long weekend! The February Scholastic order forms went home this week. Please return any orders by Thursday, February 9th. This entry was posted in Newsletter by thekinderteam. Bookmark the permalink.